Dordrecht Open Stad III is going to have place at 10 May 2009. 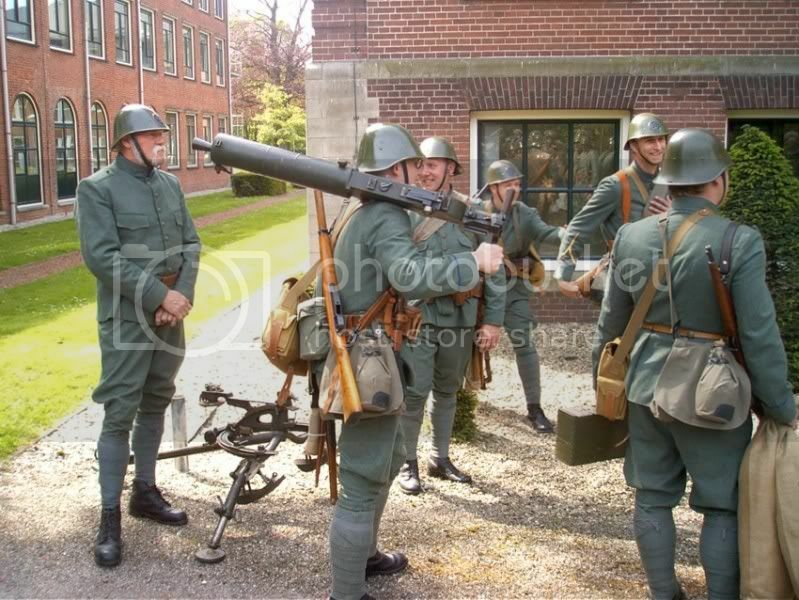 This is the Fallschirmjäger event of the Year in the Low countries. This is the 3th event that they remember the invasion in may 1940 by the German Army and more particular the German Fallschirmjäger. More pictures of DOS II here: http://www.grebbeberg.nl/dordt/ go to the botom link. Last year was excellent. We where driven trough the whole city in authentic vehicles and re-enacted several battles that acctualy happened there! Special note to everyone who would like to go: The setting is May 1940 and nothing else. This year the quality standards are pushed further up so if you turn up as a FJ you must be perfect: no Kreta smock, blue waterbottles, blue/gray helmets, helmcovers or splintertarn bandoleers. Also no frontlaced boots! 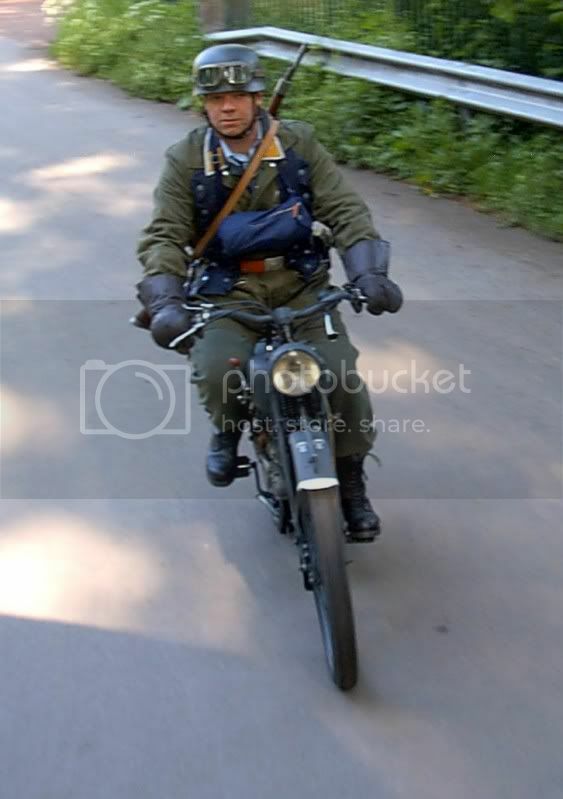 You know the drill, if you doubt study the original pictures and re-enact one Fallschirmjäger. Most of the heavy stuff wasn't worn like messtin, shovel and bajonet. Last year foreigners (I and the German FJ Pioniere) could arrive one day ahead and sleap somewhere in town. we had a good time. I don't know if it could be aranged this year? If you are interested you could contact jensenmartijn@hetnet.nl WH, FJ and civilians are welcome. No Waffen-SS please. The latest news was that we could arrive on friday. The action scenes will be more difficult on sunday, so we can exersise the moves on saturday. Damn Peter, you beat me to it I wanted to post this link also. The first picture is a big no, no: the way those Wehrmacht soldiers are presenting their arms! and on saturdy those guys where drilling so hard. Ach, sh*t happens, let's not focus on that one. It was an excellent event and it attracts more and more people each year. The first edition there where about 8 Fallschirmjäger, last year about 20 and last weekend there where about 36! 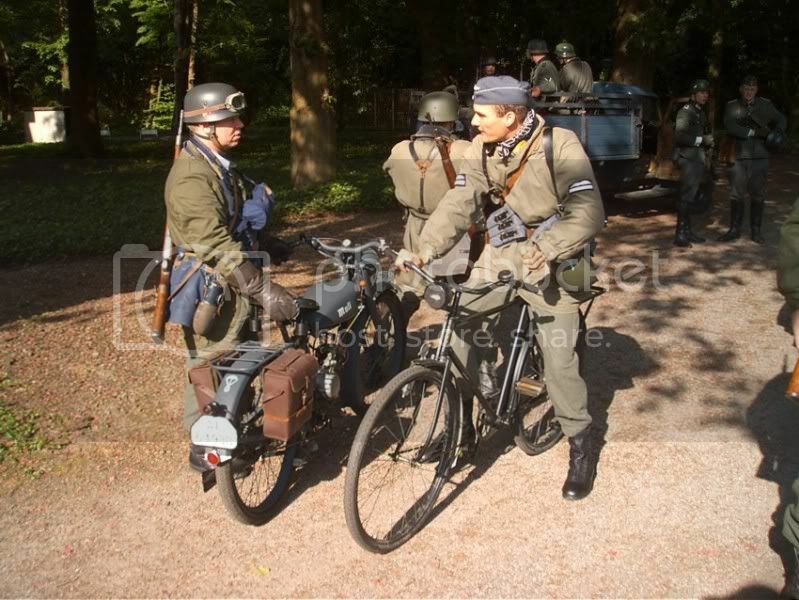 Then you have to count the Wehrmachters and civilians and Dutch army re-enactors to. Not everyone stood to the standards but I hope by next year they will buy that mandatory piece and replace that inaccurate one. For me the best moments of the day where the jumptraining and jumptower in the park and when we had time to drink something in a local, very authentic looking, pub in full kit After one day running and some more running in full kit in the sun my drinking bottle was empty when we did the last scenes, so the pub was more then welcome. It's always nice to meet German friends again after one year! Also good to pick up that language again, to get the rust away and put some grease between those German words. It was a great event! Very good weather (maybe a little bit too good), nice people, a good show. But I agree to Olivier that a lot of people have to improve their kit. Especially the sidelaced boots and the correct style jump smocks. Why wearing a Crete-smock? Barry Lyndon sells the correct type for around 60$? Last year I had the wrong boots, too, but I had 12 months to save money for the sidelaced. So it was rreally no problem. Last edited by Salacious Crumb on Wed May 13, 2009 9:26 pm, edited 1 time in total. In the beginning a guy falls on the bridge, I'm the dude that picks him up. In reality this action was done by a group of only 8-10 Fallschirmjäger. 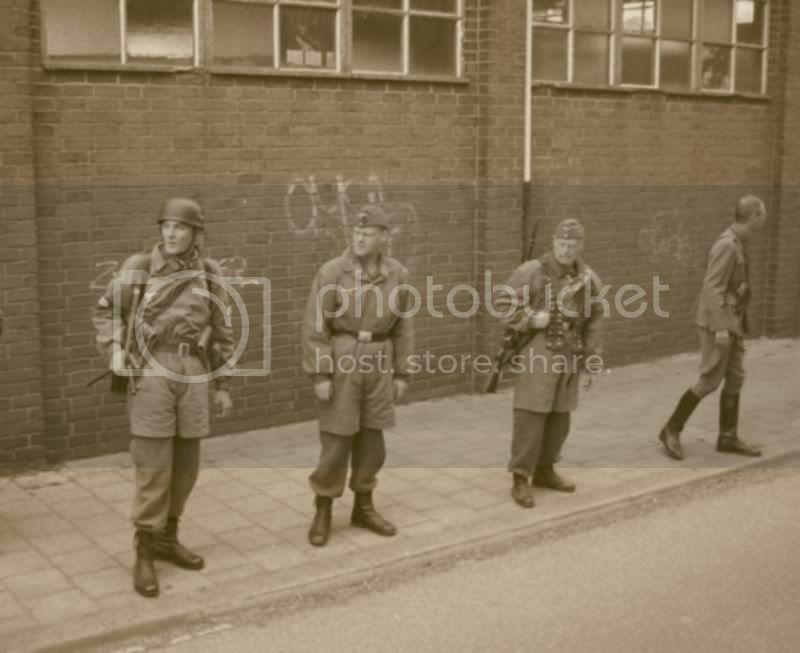 The Dutch soldiers never expected them as they thought the enemy would come from the direction the camera is looking. Most of them didn't have weapons on them as they where in the bunkers. So only a handfull lost their life in the action. Most of them got POW. Yup I recognise Henk as well!!! I think i had better get some sidelacing boots and a smock with no pockets! Mystery panzer combi of the year!